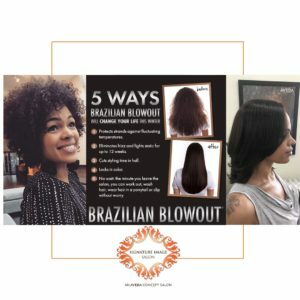 5 Ways Brazilian Blowout will change your life this winter. Protect strands from fluctuating temperatures. Eliminate Frizz and fight static for up to 12 weeks. Cuts styling time in half. No wait: The minute you leave the salon you can work out, shampoo hair, wear a ponytail or clip without worry.